I can’t take credit for this one. 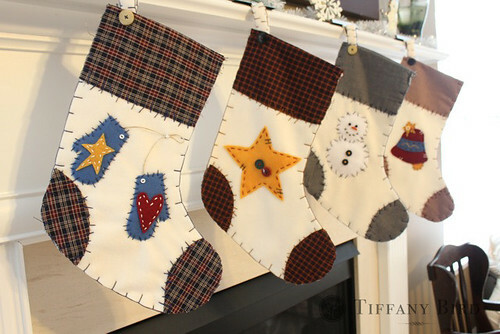 My amazingly talented and fun spirited friend, Marcie, came up with the patterns and designs for my stockings. 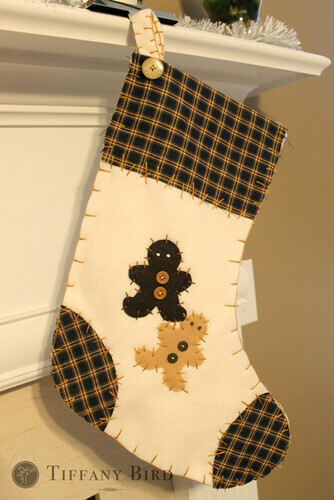 This is actually a set of six stockings… gingerbread men and a candy cane are the other two designs. See all six designs below. 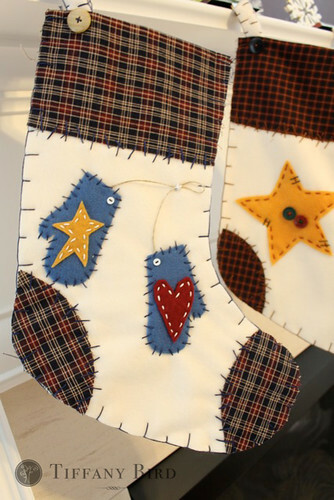 They were so simple and cheap to make -felt, fleece, floss, buttons and scrap fabric. It’s a simple blanket stitch all the way around. I was able to finish all six in one day. If you made something inspired by Simply Modern Mom, please upload pictures of it in our Flickr group to show it off to everyone. You may be featured on Simply Modern Mom. 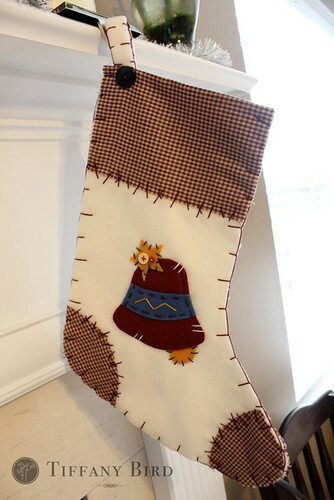 Those stockings are sooo cute! Thanks for linking up! Those are fab! Definitely looks like fun! I love those designs so much…thanks for stopping by! These turned out great. I love the look of them. Thanks for sharing. ONE day??! They look great! Aren’t they cute! Love the snowman! 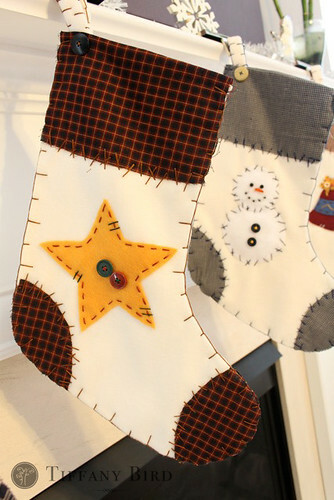 These are really adorable and I love that they are simple and quick to make. Those are SO cute. You did a great job sewing them. And your friend did a great job designing them. I love them. Those are super cute! Would love to see a tutorial on them. I agree One Day? Your fast. These are quite cute. OMG ~ These are so Pottery Barn! They’re gorgeous! Thank you for sharing! Please stop by and see my Gorgeous Vintage Sterling Silver Set with a Bling Thing! You’ll be glad you did. Oh, and please leave a comment; I get sooo excited each time a new comment is posted, like a kid in a candy store! Just adorable! 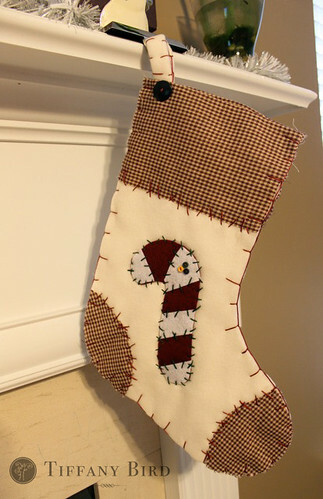 The blanket stitch is my favorite stitch. Great job! Merry Xmas. So very nice! I love the rural primitive look. For those of us who need the extra help–is there a pattern available? 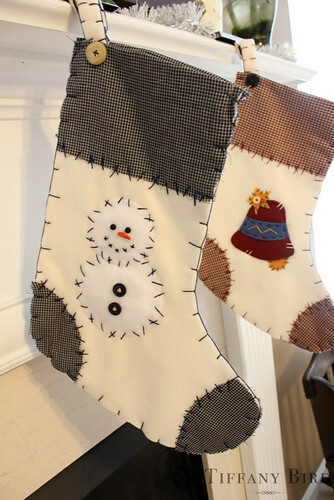 These are super cute and I’d love to make them, but need a pattern. I am not just good at “winging it”. I just love these stockings. I want to make them for my boys and their families. Where can I get the pattern. I would be willing to pay for it. Thanks! !